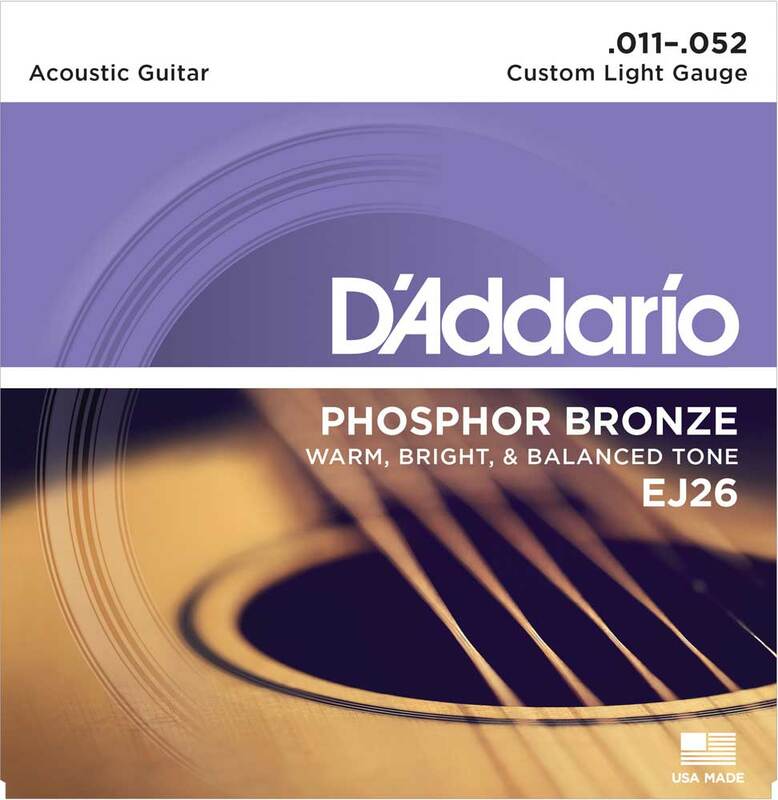 D'Addario Phosphor Bronze Acoustic Guitar strings are acclaimed worldwide for their superb, long-lasting tone. Phosphor Bronze has become synonymous with warm, bright, and well balanced acoustic tone. D'Addario's most popular acoustic guitar strings. Computer-controlled wrapping around a hex core.